Ukulele – A very underestimated member of the guitar family. Associated with Hawaii and oceanic breeze, the word translates to ‘jumping flea’. The instrument is composed of wood with bits of other materials such as plastic and nylon. Usually, there are four strings, but some variants have six and eight strings as well. Most common types of ukuleles are soprano which is a standard ukulele, concert, tenor, and bariton ukuleles. If you are looking to dive into the blithesome world of ukulele, you can easily begin the musical journey online. Thanks to several amazing websites, you can learn to play the string instrument online. However, it can be a little tricky to find legitimate sites where you can learn the basics as well as fine-tune your existing skills. Below, we have outlined some of the best websites that offer free or paid ukulele lessons. Let’s begin! Operating since 2008, Ukulele Underground offers ukulele lessons to budding musicians as well as to pros who want to improve their techniques and acquire new skills. After you become a member of UU+, you are granted access to their video library that has hundreds of lessons for each level. 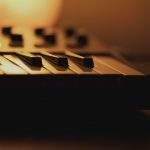 Moreover, users who are struggling with a specific chord can enter live one-on-one coaching rooms or take private lessons with Aldrine Guerrero. With face-to-face interactions, students are able to express their concerns, get help with the task and get the knack of it in the end. Every week, exclusive events are live-streamed on the website to help out students with their issues and allowing them to practice with each other. Ukulele Hunt is an online blog that has everything you need to know about the instrument. From songs and chords to setting up and repairing the instrument, all of your questions will be answered. The blog is updated regularly and at the bottom of the page, there is a list of archived material sorted according to dates and categories. Whether you are only starting up or a full-fledged player, the website has free lessons and eBooks for all levels. On Tuesdays, the blog is updated with chords, and Thursdays are dedicated to Tabs. Mondays and Wednesday are miscellaneous days mostly for theories and reviews. On Fridays, links and latest news regarding ukulele are posting while on Saturdays, there is a roundup of the best ukulele videos of the week. To ensure you don’t miss out on new posts, you can subscribe to their RSS feed. The interactive website is determined to turn you into a ukulele master with a brilliant interface. The best part is that it is completely free! The site features several tabs on the top such as tuning, guides, chords, tabs, clubs, metronomes, and scales. You can tune your instrument without resorting to a tuning device. The Clubs section feature events and clubs located in all parts of world. There is an interactive map on which you can select your region to find out the details. It is never too late to pursue your passions and lifelong dreams. Pick up your beloved instrument and head over to Ukulele Buddy. The website offers ukulele lessons for beginners who know zilch about the uku. The classes are conducted by JP Allen and Mitch Chang who are well-known musicians and teachers. The lessons are very short, between 7 to 15 minutes long, but all the lessons are designed to provide a good groundwork and offer a sense of progress. With Ukulele Buddy, you can learn to play in your pace. Uncle Rod’s Ukulele Boot Camp has all the free resources to get you started on ukulele. It has a self-guided book for non-musicians, a proficiency test to assess yourself, and a songbook to help you learn your favorite songs. All the PDF files have corresponding MP3 audio files. While there is no guarantee that you would be playing Somewhere Over the Rainbow by the end, but the resources are definitely helpful for the beginners, and most of all, completely free! Udemy is a renowned online learning platform geared towards adult professionals. The website has an entire section devoted to a ukulele. It offers a variety of courses that are customized for beginner and intermediate players. For newcomers, there is a beginner’s course tailored to teach the very basics of a ukulele. There is even a fun beginner course for those who want to try their hand at the instrument to show off at the party! Other courses are more serious – dedicated to specific topics such as strumming and compositions. They are ideal for intermediate levels who want to focus on a certain technique. The teachers are ranked according to their feedback, and the rating system helps you choose the right teacher. All in all, it is a good platform to learn and practice ukulele. Ukulele Tricks claims to teach you to play ukulele in the easiest and fastest way. Considering it is a free online educational site, there is no harm in trying. The website features a 14-video lesson course along with several blog posts about tips and tricks. Apart from introductory lessons, there are posts on chords and strumming patterns, fingerpicking, music theory, and even a lesson on singing a Country Bluegrass “Boom-Chicka” Strum. The website has a very simple interface which is easily navigable. The lessons are planned out in a simplistic manner making them ideal for ukulele dummies. Artist Works offers three types of lessons based on a timeline of 3-Month, 6-Month, and 12-Month. The classes are conducted by Craig Chee and Sarah Maisel who are well-known instructors and performers. They have carefully crafted each lesson to teach all levels of players. Whether you are a beginner or an advanced player, the lessons are definitely worthwhile. In Artist Works, you can submit your videos and wait for the response. The teachers record their own videos in response with specific guidance and style. In this manner, you can learn to play the instrument at your own pace. Uke School is a free guide aimed towards beginners and advanced players. The website has free online lessons, hundreds of tips to help you grasp the basics, and a plethora of interactive multimedia guides. Here, you can learn to play your very chord right by yourself. The interactive tool also helps you tune the instrument from the start to save you trouble and confusion in the future. Besides the basics, there is a wide range of techniques, tuning tricks, grooves, and songs for experienced ukulele players. The website is run by Brad Bordessa who has been playing the instrument for almost two decades. 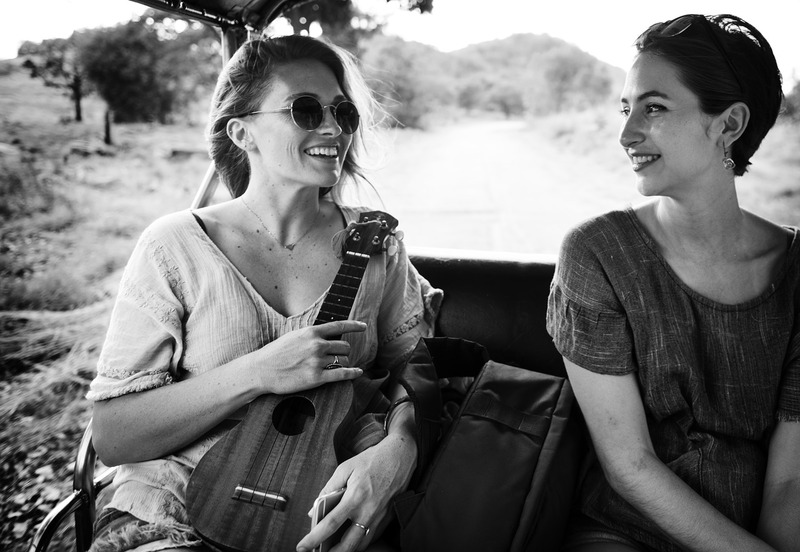 You can sign up for free to access the material on ukulele, but for the live video sessions with Bordessa, you have to pay. Moreover, you have to pay for some of the other resources including songs and PDF files. Thinking of getting your hands on your first Ukulele? Check out our article on the ultimate guide to the best ukuleles for beginners. According to the World Guinness Record Book, the ukulele is the easiest instrument to master yourself. But easier said than done! We hope these websites will help you master the breezy tunes of a ukulele.